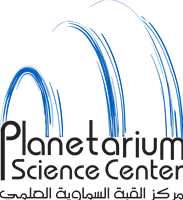 The BA Planetarium Science Center (PSC) is an independent, not-for-profit educational foundation dedicated to increasing the public's awareness, interest and understanding of science and technology through three sections, each of which approaches science in a different manner that is relatively unconventional to the Egyptian community. Konya Science Center displays seven main exhibitions; Basic Steps, Our World, Me and My world, Our Universe. Additionally, it has one lecture hall, two workshop classes, and three laboratories, in addition to two conference rooms. There will be science-related periodic exhibits. Mishkat Interactive Center is the initiative of the King Abdullah City for Atomic and Renewable Energy (K.A.CARE). Created by the royal decree in April 2010, KA.CARE will guide Saudi Arabia towards a new era of sustainable energy, leading the way in atomic and renewable energy to ensure the best possible use of Saudi Arabia's abundant energy resources. To power this innovation, the Kingdom needs talented and passionate Saudi Arabians to lead the charge. Mishkat was created for this mission to inspire the youth of today to be the energy innovators of tomorrow. 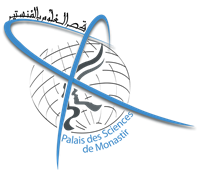 Monastir Sciences Palace is a public non-administrative establishment placed under the Ministry of Higher Education and Scientific Research. Monastir Sciences Palace was created according to 36-2007 of June 04th, 2007 law. Its objective is to create an intellectual, cultural and scientific dynamics among the different categories of citizens. The Science Studio is a five year pilot project (2017-2021) that will lay the foundation for the establishment of a long-term Interactive Science Centre in Palestine. The Science Studio aims to spark people’s curiosity about science, and to make science relevant within the Palestinian and international human contexts. It aspires to communicate science in a way that achieves engagement, emotional involvement and retention of acquired knowledge, and to offer learning opportunities for students, teachers and the public. Sonbola Group for Education & Development (SONBOLA) was registered as a Lebanese NGO in October 2015. It's mission stems from the belief that quality education is a crucial right that needs to be granted to every child even at time of conflict and war. Sonbola works to achieve this goal by endorsing an apolitical agenda, while adopting a comprehensive and an innovative approach to engage Syrian teachers in providing impactful and quality-based learning to Syrian refugee children in Lebanon. It aims to reach out to Syrian refugee children at other host countries as well as to displaced children inside Syria. Scitech is affiliated with King Fahd University of Petroleum and Minerals. The basic aim of the Center is to educate the community in the principles of science and its applications. Through experiments and observation, Scitech simplifies and explains science via engaging and interactive ‘edutainment’ methods depending on education level of the participants. It is comprised of seven (7) main exhibit halls, which deal with varying sciences and ‎technologies. These halls include more than 350 scientific exhibits. There is also a scientific dome showcasing a state of the art IMAX theater as well as an astronomic observatory. Additionally, the building contains ‎a Conference Hall, the Educational Unit, a spacious Temporary Exhibitions Hall, and the ‎Administrative and Services Facilities. The Children’s Museum Jordan is one of Queen Rania al Abdullah’s non-profit organizations. The Museum Opened in 2007 with a mission to: “nurture curious children who love to lean”. The Museum is a space for young minds and provides them with a one-of-a-kind fun, interactive and educational experience that inspires their creativity and curiosity. The Museum houses 110 interactive exhibits, year-round programs and 6 festive events to celebrate national occasions to insure everlasting and memorable visits in the minds of our visitors. The Children’s Museum Jordan also offers reduced or free admission to children from underserved communities who would otherwise be challenged by normal fees. It’s a world class learning institution, where no else in Jordan nor the region children get to have such an experience. The Children’s Museum Jordan is also a member of the international organizations: the Association of Children’s Museums, the American Alliance of Museum and Hands on Europe. The Museum’s Mission is to nurture curious children who love to learn. The Museum’s Vision is to become a memorable growing up experience for children in Jordan. The Scientific Center was presented to the citizens and visitors of Kuwait by Sheikh Jaber Al-Ahmed Al-Jaber Al-Sabah (God rest his soul). The foundation aimed to create a hub where Kuwait could demonstrate its advancement and place in modern society, in addition to confirming its leadership role in the protection of the environment in the Arabian Peninsula.The center also seeks to spread scientific as well as cultural awareness. Several members of KFAS were appointed by his highness to visit renowned scientific centers around the globe, in order to create a scientific center of world standards. The Scientific Center of Kuwait (TSCK) fortifies the message of scientific awareness in the State of Kuwait, while strengthening its cultural heritage.Its activities are dedicated to spreading awareness and knowledge related to the environment. TSCK encourages people’s care and commitment in preserving the desert, marine life, and ecosystems of the Arabian Gulf region.